It was a busy day for Amazon after it unveiled its brand new tablet to the world, not to mention a handful of other new devices. And The Next Web was in attendance to see what was going on. Of course, without even a peep from Amazon itself, rumors of a new tablet have abounded for months, with many debating whether an Amazon offering could manage to do what other tablet makers hadn’t: Launch a serious contender to Apple’s iPad throne. Motorola pushed its XOOM to market with the first Android Honeycomb tablet, and Samsung had enjoyed limited success with its 7-inch Galaxy Tab, whilst its attempts to bring a 10-inch model to market have been problematic to say the least, thanks to Apple’s injunctions. And last Friday, Amazon sent out press invites to today’s event, which set tongues wagging into overdrive and kick-started an almost Apple-like hype in the build up to the event. Maybe a slight exaggeration, but you know what we mean. The Next Web gives you the full lowdown on what was announced at the Amazon event today. The event started with Jeff Bezos – Founder, President and CEO of Amazon – guiding the audience on a trip down the Kindle’s memory lane, noting that 4 years ago there 90,000 books available. Today there is over a million. And this was the foundation for Amazon’s first big announcement. 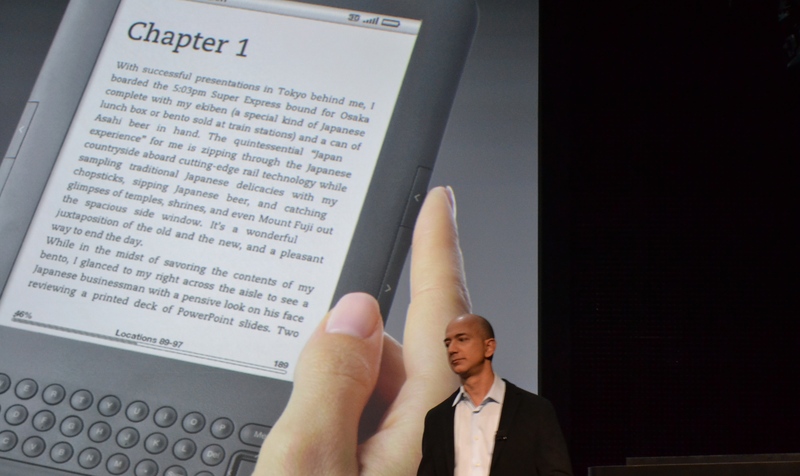 First out of the starting block was Amazon’s new Kindle Touch. The ‘Touch’ is smaller and lighter than previous incarnations of the Kindle, and even lets left-handed users enjoy reading on the device. What do you get? A pretty cool looking electronic ink display by the looks of things, infrared touch interface, longer battery life, access to millions of books, X-Ray and more. X-Ray lets users look at the bare-bones of a book, it’s like a mini Wikipedia for each book. The basic Kindle Touch is WiFi only, costs $99 with special offers, but the standard price is $139. It’s available to pre-order now, and it ships November 21st. As above, but with 3G functionality that works in 100 countries around the world. No contracts or monthly fees, and what’s more the 3G is free. Costing $189, the Kindle Touch 3G ships on November 21st, the same day as the standard WiFi version. Amazon also launched a $109 version of its Kindle (with a $79 special offer price). This device is non-touch, weighing under 6oz, is 18% smaller than the original Kindle and is available now. This device lacks a physical keyboard but does still feature page turn and menu buttons as there is no touch on this Kindle. Amazon Web Services + Amazon Prime + Amazon Kindle + Amazon App Store + Amazon Instant Video + Amazon MP3…= Kindle Fire. The Kindle Fire is an Internet browser, newsstand, book stall, music and video shop, document viewer/editor and as with any tablet, you can use apps on it too. Netflix, Twitter and Pandora will all have apps when it’s launched, and there will be an email app, but no calendaring. You can watch movies seamlessly between your Kindle Fire and the Livingroom TV using WhisperSync for movies. All of your multimedia content on the Kindle Fire is backed up to the cloud too. The Kindle Fire has 16 million colors, 7-inch screen, dual-core processor, and has 169 ppi resolution. 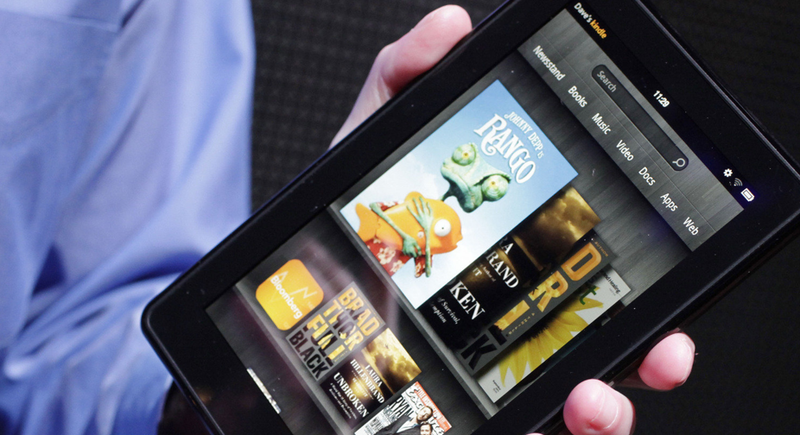 You can also save your favorites to your Amazon Kindle Fire bookshelf, such as Angry Birds or the your top movies. The Kindle Fire is available on pre-order now for $199, and ships November 15th. 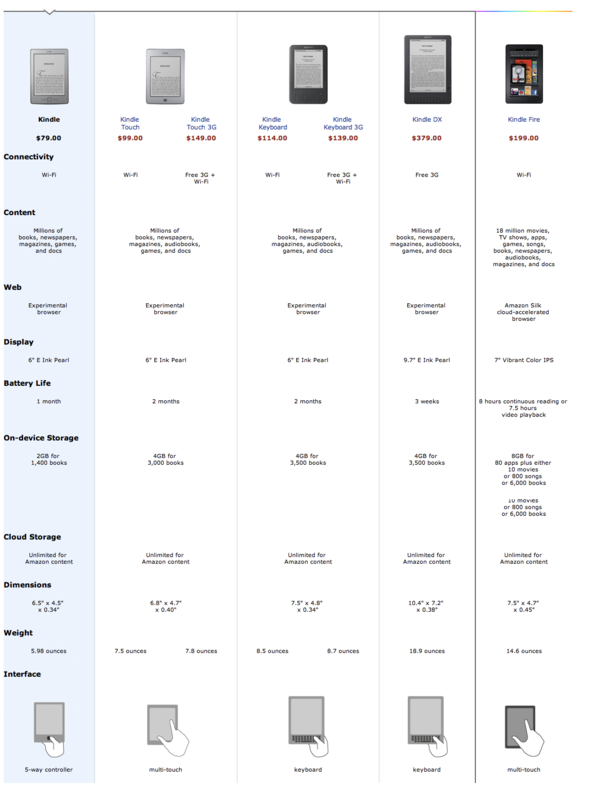 It turns out that the original Amazon Web page was a mere 10kb, today it’s 63x bigger than that. And so the last announcement was Amazon Silk. Amazon Silk is a split browser that partially lives on Amazon EC2 and Kindle Fire. The browser is built into its new Kindle Fire tablet, and cloud servers will create a faster browsing experience for the user. The browser’s USP is it features split-rendering that does the heavy lifting of rendering in the cloud. The browser observes aggregated user behavior across sites. The browser detects these patterns and requests the next page before you even know you need it.